The world is a vast place, but you are not alone. So the next time you're having a coffee or a wine or even a bottle of water and it's just you in your house, raise it up and Cheers. I'll be doing the same thing in my time zone, and the way the universe works there will be a good chance that the waves raising our glasses/mugs/bottles make in the universe with collide. 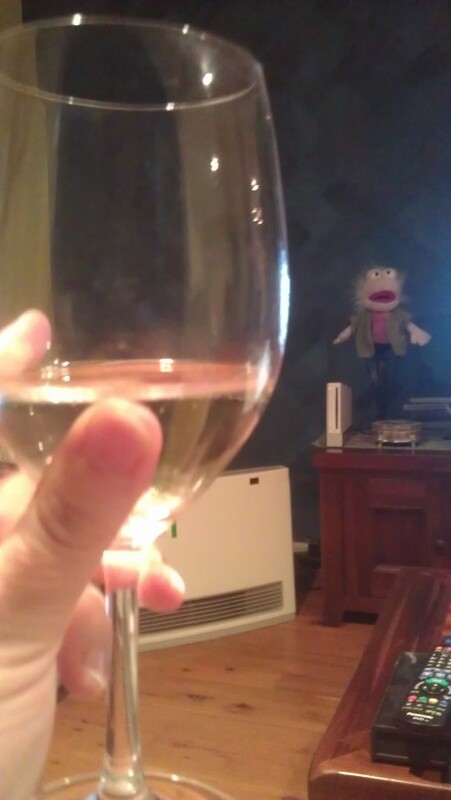 ...yeah, that's a Mokey Fraggle Hand Puppet in the back ground. She watches me watching TV. That's really lovely. :-) Cheers!